Looking back to the summer of 2012, it has been a wonderful season full of paddling, going out with great friends and a ton of good eats! So much so that I still have so much more I want to share. This post being one of them. A few months ago, my close group of friends S, S, B, K and M got together for one of our rare dinners downtown with their hubbies (sans kids 🙂 ). 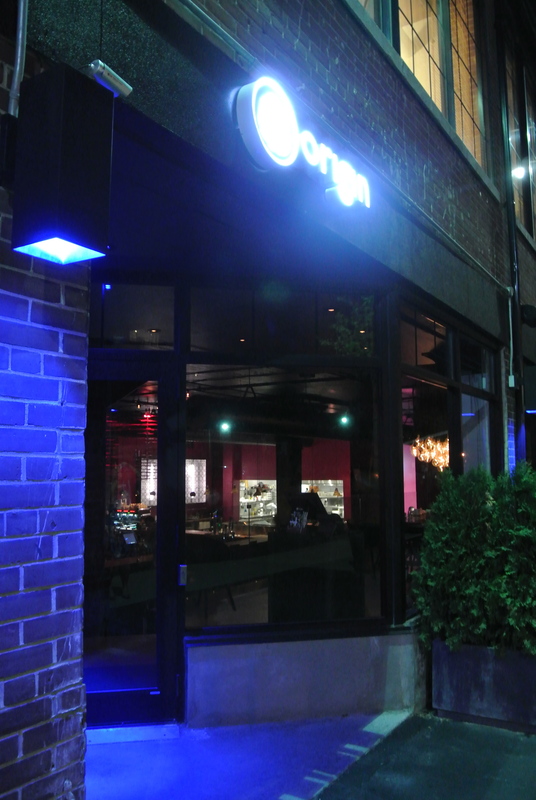 Origin has been on my long list of restaurants that I’ve been wanting to try and they recently opened up new locations, one being in Liberty Village. 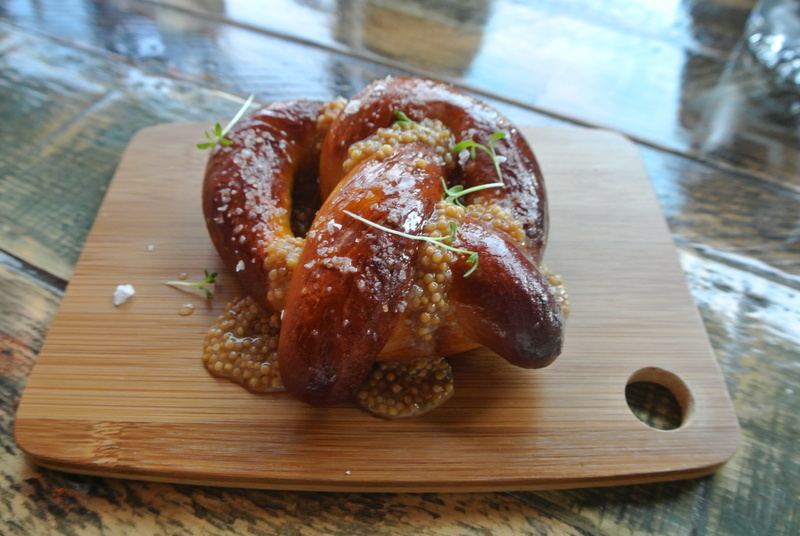 Because our group was so large, they suggested doing a fixe menu and at $45 per person, you can’t go wrong. 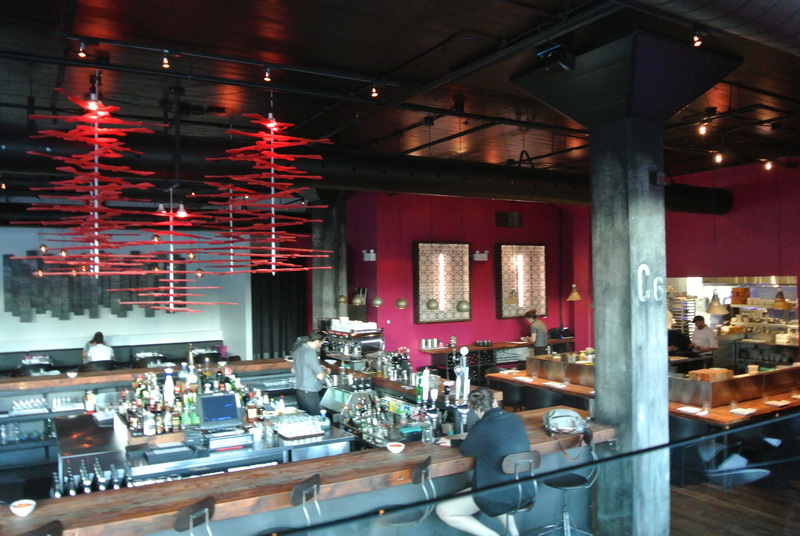 The fixe menu comprised of 10 courses and the concept of the restaurant is similar to Tapas where it is about sharing. In general the dinner was great! 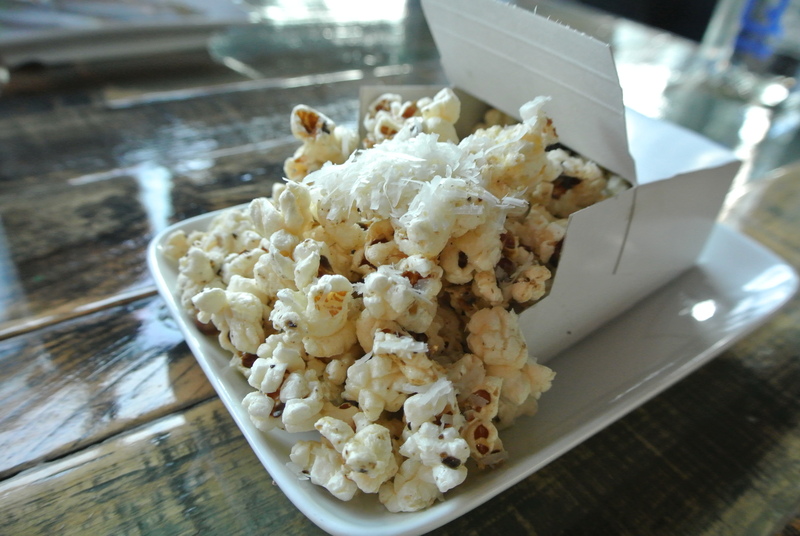 Food was fantastic and the service was attentive, especially since our group has a number of dietary and allergic restrictions (vegetarian, no pork, no beef and no eggs) – gotta love restaurants that accommodate their clientele. One thing I will say is that when it came down to portions for dessert, they could have done better. When it came to finally having dessert, we were very disappointed when they only came out with 6 donuts (they were small rounds similar to timbits, no where near the size of regular donuts) for 11 people. They really should be serving one donut per person. Otherwise, we had a great time as usual! Can’t wait for our next get together in NYC!!! 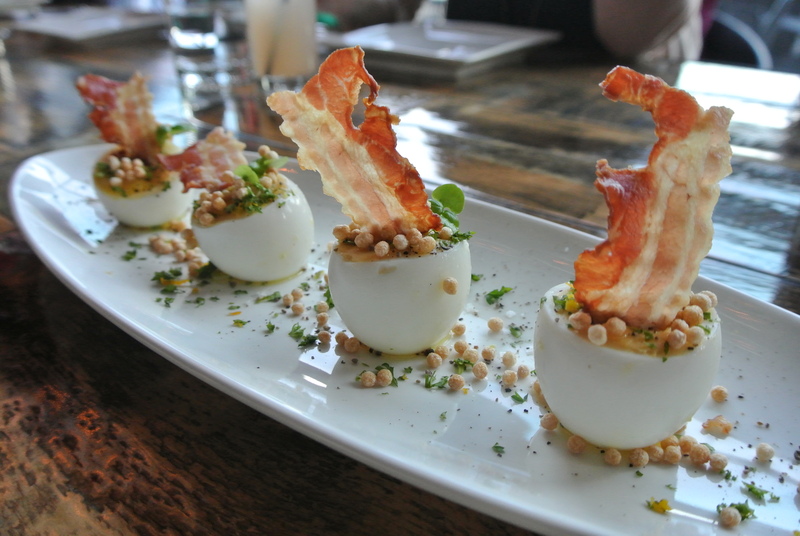 Course 2 – Deviled eggs, souffltine and smoked bacon. 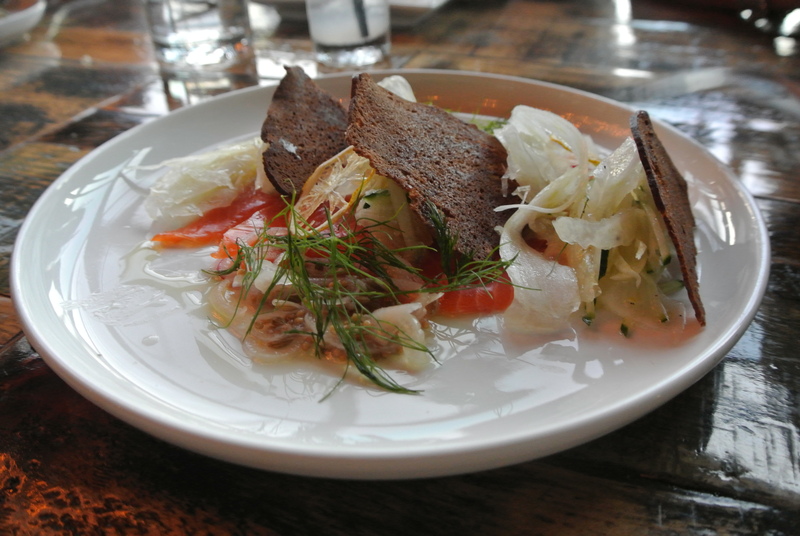 Course 4 – Ocean trout, lemon, fennel, dill and rye. 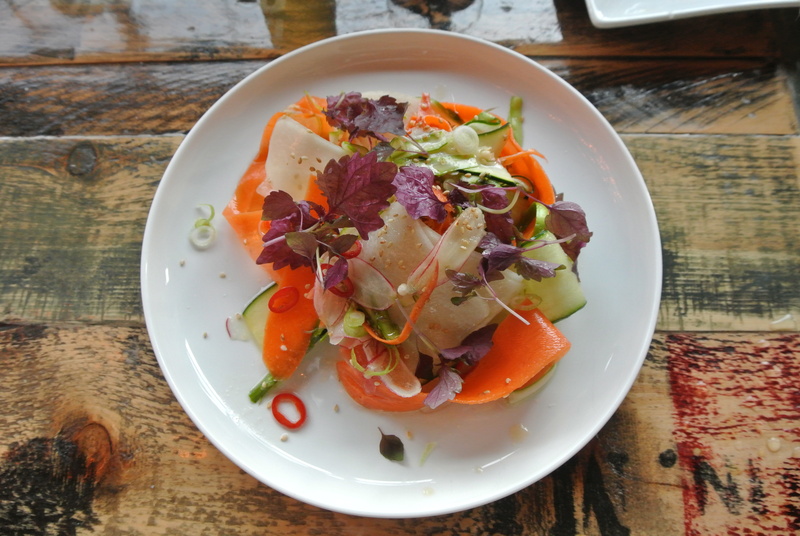 Course 5 – Raw summer salad with rice wine and ginger dressing. 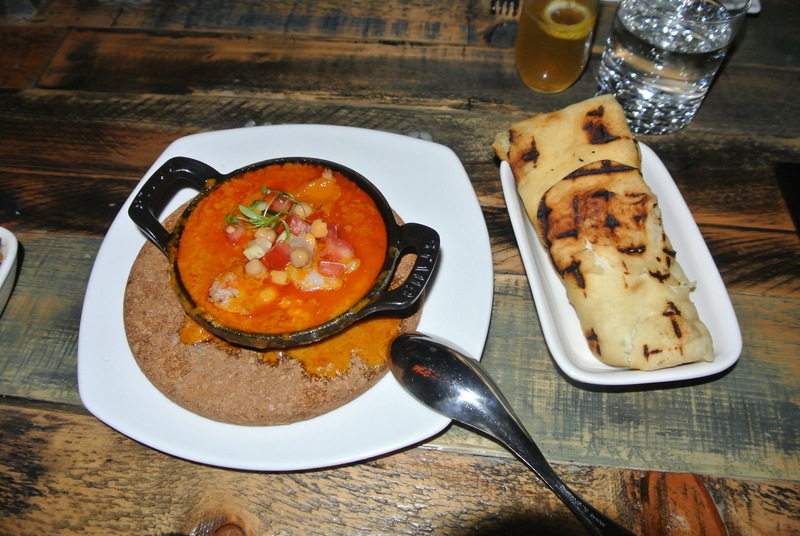 Course 6 – Curried shrimp and naan bread. 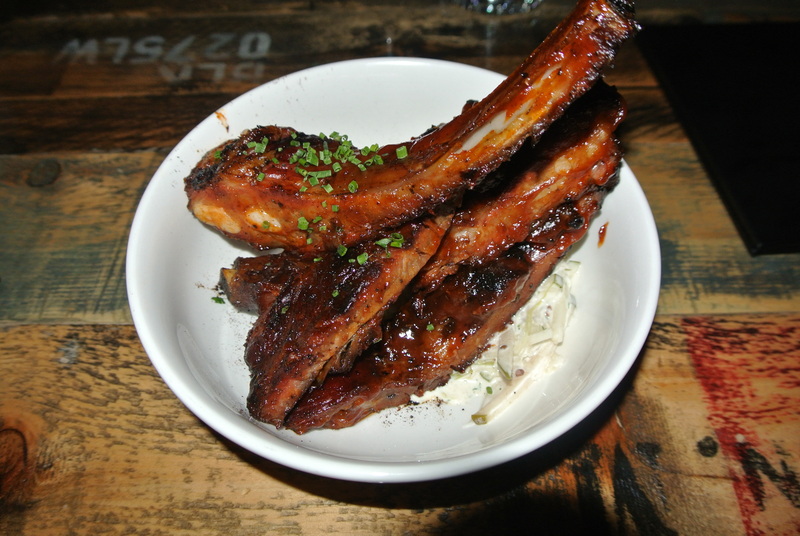 Course 7 – Smoked pork ribs, coleslaw and BBQ sauce (these were so tender they fell right off the bone!). 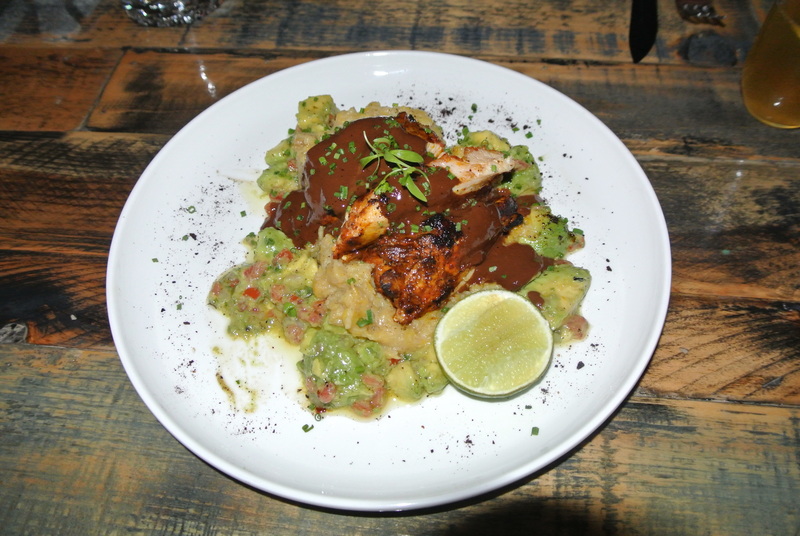 Course 7A – For the “no pork” option, chicken was served with house made guacamole. 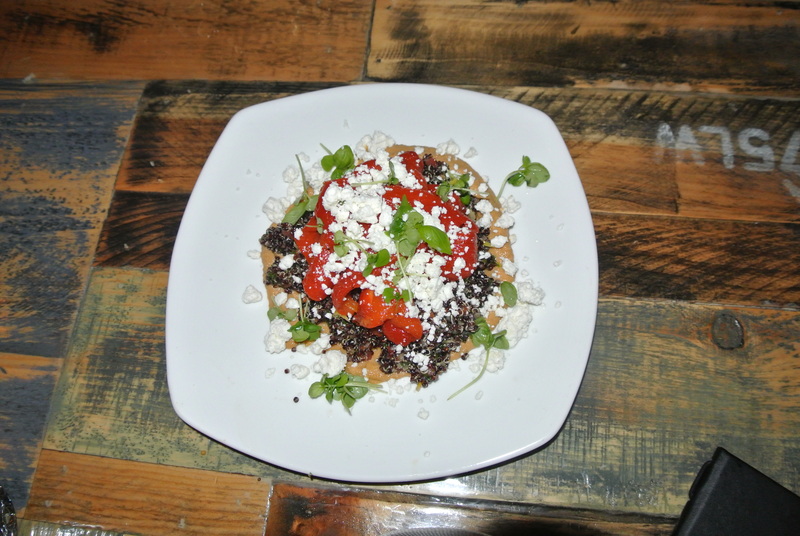 Course 7B – Quinoi salad with feta (the vegetarian option). 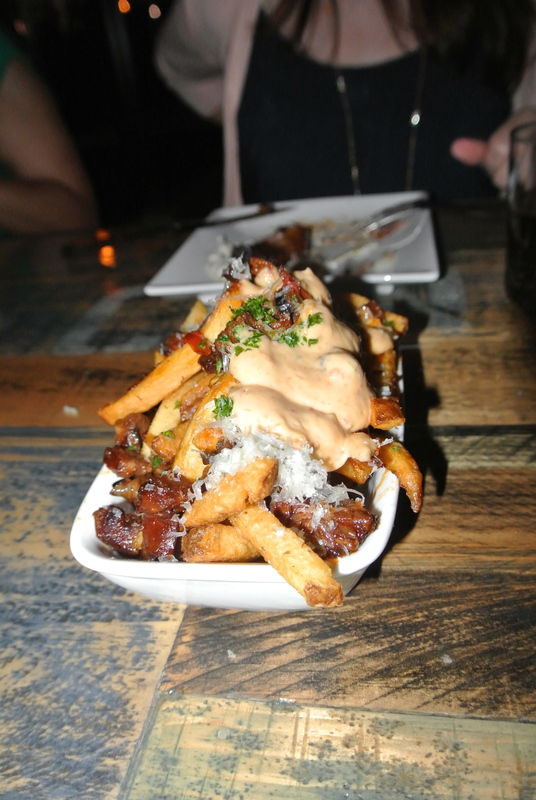 Course 8 – Spicy spanish fried with chorizo and manchego. 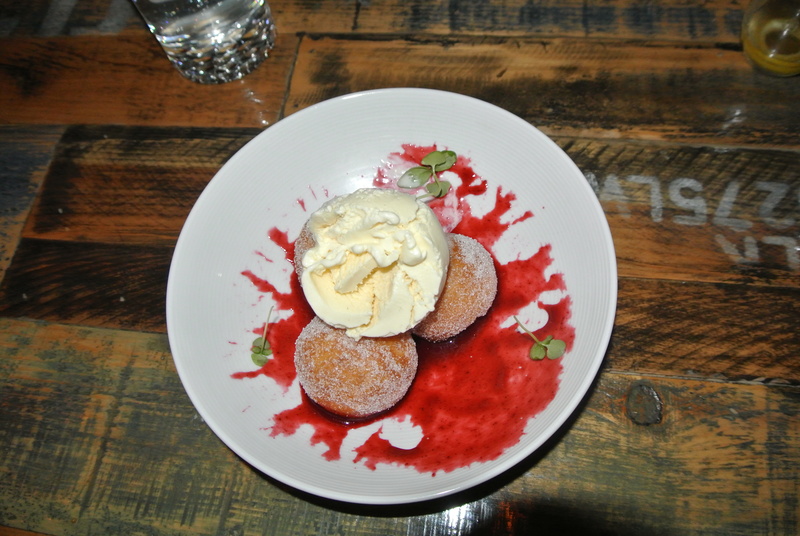 Course 9 – Fancy’s doughnuts, cream cheese and blackberry. 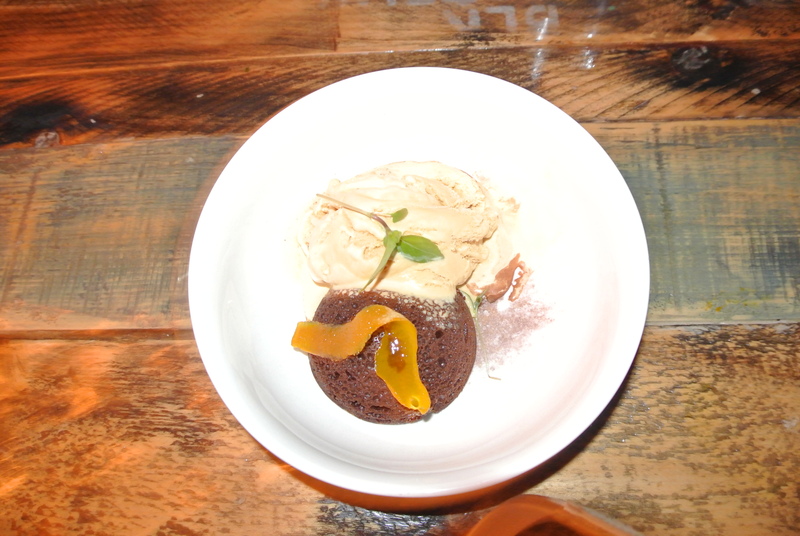 Course 10 – Hot chocolate cake and malted milk ice cream.